1. The first distinguishing feature of his teachings lay in the recognition of the mind as the center of everything. 2. Mind precedes things, dominates them, creates them. If mind is comprehended, all things are comprehended. 3. Mind is the leader of all its faculties. Mind is the chief of all its faculties. The very mind is made up of those faculties. 4. The first thing to attend to is the culture of the mind. 5. The second distinguishing feature of his teachings is that mind is the fount of all the good and evil that arises within, and befalls us from without..
6. Whatsoever there is of evil, connected with evil, belonging to evil–that issues from the mind. Whatsoever there is of good, connected with good, belonging to good–all issues from mind. 7. If one speaks or acts with a defiled [=polluted?] mind, then affliction follows him as the wheels of the cart follow the feet of the bullocks who pull the cart. The cleaning of the mind is, therefore, the essence of religion. 8. The third distinguishing feature of his teachings is the avoidance of all sinful acts. 9. The fourth distinguishing feature of his teaching is that real religion lies not in the books of religion, but in the observance of the tenets of the religion. 10. 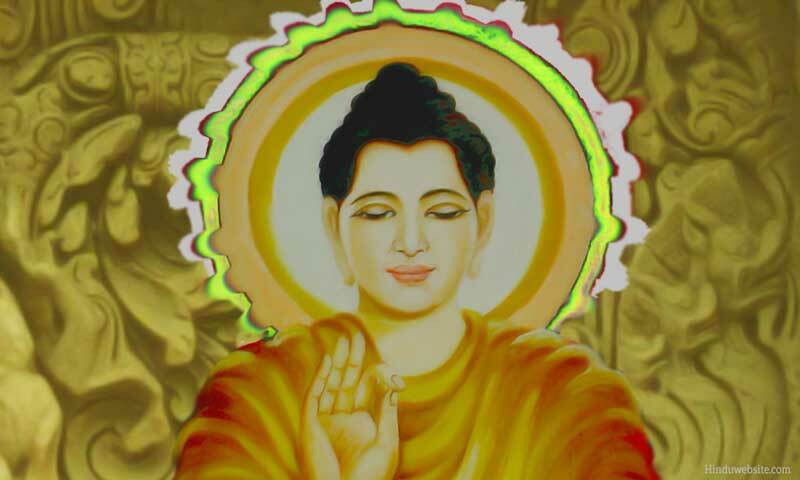 Can anyone say that the Buddha’s religion was not his own creation?